The Iowa Technology & Geospatial conference will be held in June 2018. 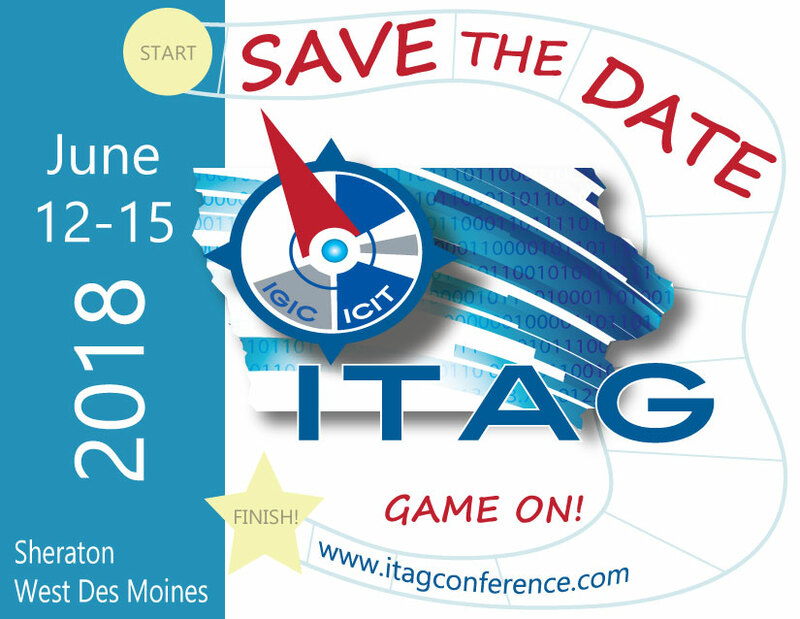 The ITAG Conference is a joint effort between the Iowa Geographic Information Council (IGIC) and the Iowa Counties Information Technology (ICIT) organizations to combine annual conferences into one comprehensive technology and geospatial event. In total, there will be more than 50 hours of educational content over the course of the conference. The main conference, Wednesday, June 13 through Friday, June 15, will be primarily comprised of five educational tracks. Two will be dedicated to geospatial technologies, two educational tracks will be dedicated to IT technologies, and one track will be comprised of interdisciplinary topics of interest to both the GIS and IT professional.